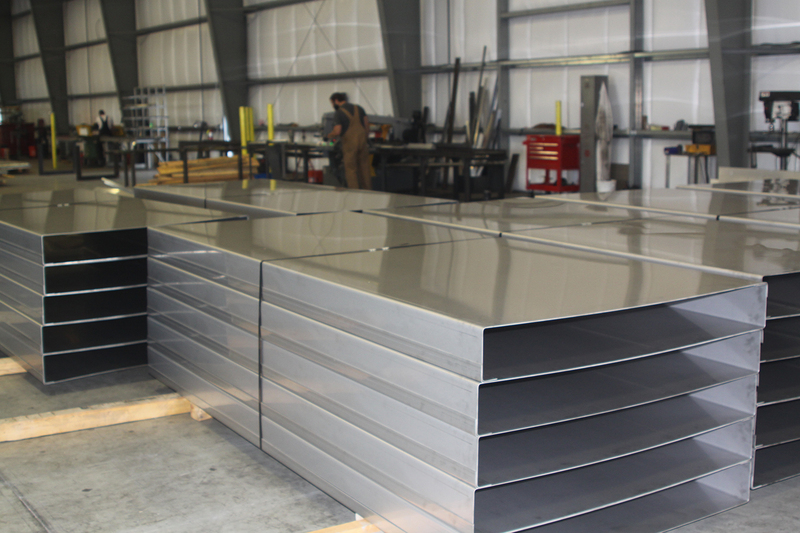 CE Metal Fabrication offers a wide variety of custom designed, fabricated and installed commercial metal work. We work with our customers, architects, general contractors and subcontractors to offer a turnkey service. We provide metal fabrication services for companies in food service industry. Restaurants that want to stand above the competition have to start by creating a kitchen that serves their needs to provide the best food and service possible. We custom fabricate various related metal kitchen products, including food shelves, countertops, and commercial kitchen hoods. Whether they are for restaurants, food handling facilities, or some other commercial establishment, CE Metal Fabrication is an industry leader in quality and design of stainless steel commercial sinks and plumbing fixtures. CE Metal Fabrication has been called upon to manufacture custom metal shelves for a number of industries, from small restaurants to commercial kitchens. The CE Metal Fabrication team fabricates conveyor systems, whatever your capacity needs may be, including stationary truss conveyors, belt feeders, and related components. With innovative designs and cutting-edge technology, we will ensure that your material handling equipment runs efficiently. From concept to completion, CE Metal Fabrication creates custom commercial metal awnings for many different industries and businesses. Whether it’s simple or has ornamental flair, we can create awnings with natural metal finishes or eye-catching colors that bring attention to your commercial establishment. With our state-of-the-art welding facility, we are a reliable resource for guardrail or handrail fabrication. We work with our customers to create the railing they are looking for, whether it’s simple and modern, or part of an ornate staircase. We can create the railing that works best for your architectural design and style. 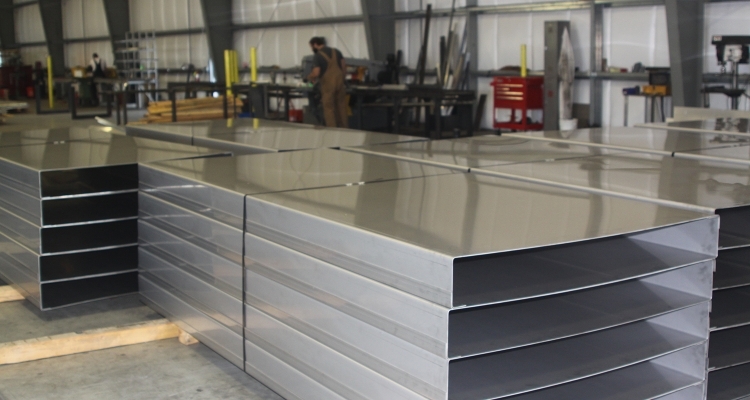 Our skilled and world-class metal fabricators are not limited to the aforementioned products. We can work with you, and alongside the industry professionals we collaborate with, to create a number of different components for your commercial operations. Contact us today about your metal fabrication needs.